Weipu WY Series are highly durable, cost-effective, multi-pin, bayonet fixing, circular Industrial and Commercial connectors designed for use in fixed or mobile equipment, industrial machine tools, robotics and automation, and on trucks, buses, welding machines, etc. The Weipu WY Series is large, covering circular electrical connectors with solder or removable crimp contacts for use in commercial and industrial applications. The number of pins range from 2 to 61. The mechanical connection between mating connectors is a quick locking, anti-vibration bayonet fixing. WY connectors have metal shells and are very strong. These connectors are for indoor and outdoor use in electronic, electrical power, and control circuits and are protected to IP55 or IP67 dependent on the body type chosen. They are effective against vibration, hot, cold and harsh environments. 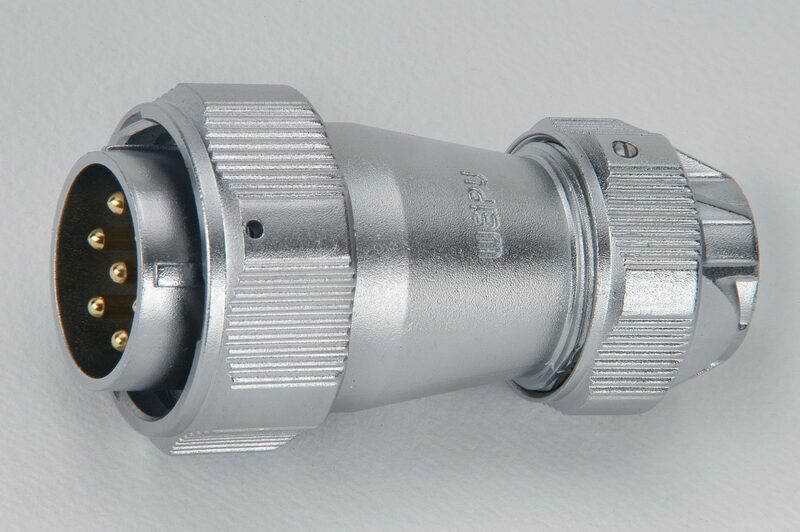 Separate sealing caps are available for the panel connectors to maintain IP67 when unmated. Male or female contacts are possible in either plug or socket type connector bodies (shells) and the connectors can be used as cable-to-cable or cable-to-panel. Mechanical operations – 500 Min. Working temperature : -40 to +85 degrees C.
Weipu WY connectors were designed for the connection of electric and electronic devices and are much used in a wide range of general purpose applications like industrial machinery, power generators, mobile and earth moving equipment. Being IP67 rated they can be used virtually anywhere.